Willie “Billy” Gales was Ike Turner’s drummer during the 1940s and 50s, but he did cut a few sides as a singer in his lifetime. 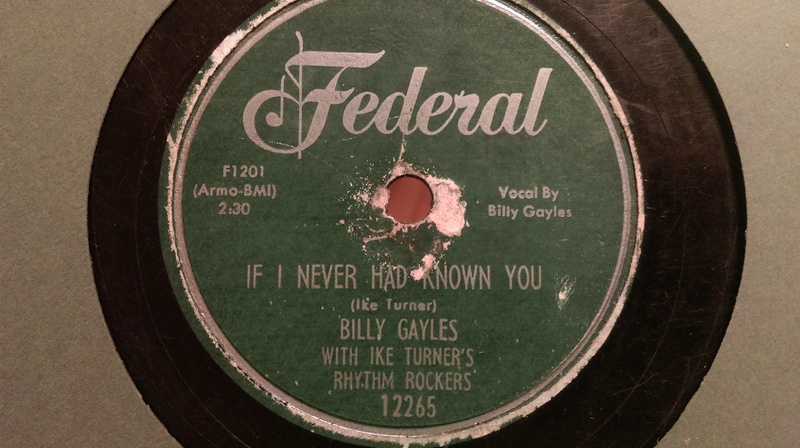 This tune, “If I Never Had Known You” is a Turner original; is a lyric about feeling low and ashamed (and grateful); is sung so tenderly, but in the way of a powerful gospel singer confessing himself to his congregation. This is on Federal Records out of Cincinnati, which was actually Mr. James Brown’s first label. Released in 1956, it has that warm, hi-fi fidelity which is a feature of many great 1950s-era 78 rpm recordings.